Home/ Astrology/How To Make Your Astrological Planets Strong & Positive? In this blog post, we will discuss Remedies to strengthen planets in the horoscope. Remedies To Ward Off Bad Influence Of Weak Planets In Horoscope. In our astrology, there nine planets along with the Sun and Moon-Mars, Jupiter, Saturn, Venus, Mercury, Rahu, and Ketu. The seven planets, Sun, Moon, Mars, Jupiter, Saturn, Venus and Mercury have physical existence while two Rahu and Ketu do not have any physical existence, they have shadowed planets without any shape and size. The Sun (Surya) planet is considered as the king of astrology, he represents willpower, father, personality, ego and what it is that makes a person unique. Planet Sun, Moon, Mercury, Mars, and Venus move quickly through the zodiac signs, but Jupiter, Saturn, Rahu, and Ketu are slow-moving planets. 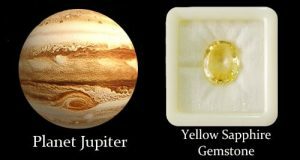 It is believed that every single Planet has its own Gemstone. 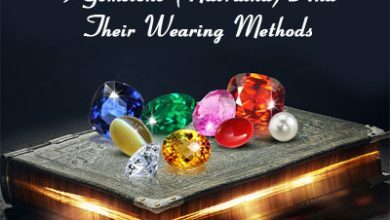 You can buy gemstone online in India according to the planet and wear it, It might help you. These nine planets are very important in astrology because each planet is associated with a zodiac sign and it is also very important that you make your planets strong and positive. In this blog, we are sharing some remedies that how do you make your planets strong and positive. Sun is the king of all planets. In Hindu mythology, we call it Lord Vishnu who is the Lord of the Universe. The Sun gives us light and life. Sun is the most powerful of all the planets in our solar system and all the planets depend on the Sun for energy. According to astrology, The Sun has been described as the Soul of all beings. It is the ruler of Leo zodiac sign. It gives us so many benefits like prosperity, brilliance, success in worldly affairs, willpower, intellect and it is related to our ambitions and famous. And on the other side, Afflicted Sun gives you, malefic results also. Afflicted Sun makes you bluff, arrogant, angry, over-ambitious, jealous and egotistical. 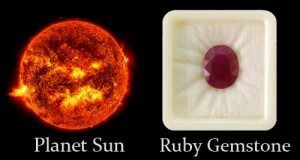 In Vedic Astrology, Planet Sun is considered to the Ruby Gemstone, and it is believed that wearing ruby gemstone in the form of ring and pendant gives so many benefits. It is one of the oldest and ancient gemstones which bring good luck and prosperity to the wearer’s life. But this does not mean that you don’t need to work hard. Everything in life is achieved only by hard work, Ruby Stone is only for helping you. In astrology, Moon is the second most important placement after the sun in your Kundli chart. The Moons rules over emotions and feelings, it has also given mental and emotional power and clarity in human beings. 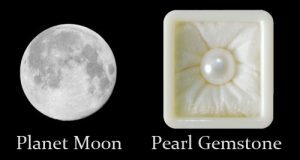 As per the Vedic system of astrology, the moon is considered to the Pearl Gemstone. 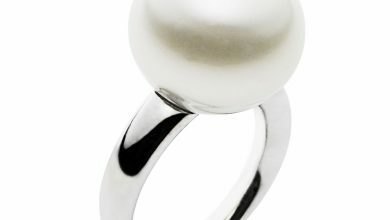 It is believed that wearing pearl stone in the form of rings will bring good fortune, luck, prosperity to its wearer. The Moon is the smallest planet among other planets in the solar system, but due to its closeness to the earth, she has enormous effects on the human beings on the earth. It has direct effects on females. You won’t like to keep your house clean. You may have a strong brain, but you don’t want to use it. You may not get love from your life partner. If you are trying to do good, but due to the bad moon in astrology, you will always get bad effects on you. If you have palpitation, then your moon is negative. Peacock feathers in the home are very helpful to improve the negativity of the Moon. benefits from the Moon. If your astrologer suggests. 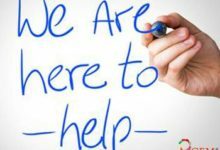 Normally, we only pay attention to Malefic planets such as Rahu, Ketu and Saturn, because of which we forget the other planets that all the Planets gives its equal number of positive results as well as negative results. In astrology, Mercury is also known as The Messenger of the Gods and it is the ruler of Gemini and Virgo zodiac sign. The Planet Mercury is considered as the prince of the solar system. Our brain growth is determined by Mercury. Mercury is the Planet of day to day expression and communication. 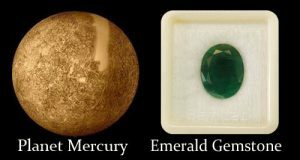 As per the Vedic system of astrology, Mercury is considered to the Emerald Gemstone. 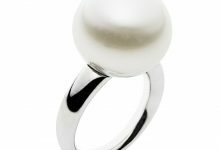 And It is believed that wearing Panna Stone in the form of the ring, the pendant will bring good fortune, wealth, support good health and happiness. If you want to do something special or in a big way, then after destiny, this is your job, the most important thing is to make the right decision, the ability to make the right decision is given by Mercury. It is not only rules communication, but it also represents coordination. The person who has weak Mercury in the horoscope, no matter how much money he has in his business, the money will never come back to him. Bad Mercury will cause your money to get spent very quickly. The person suffering from skin problems. Your business will never be able to flourish. You may get a bad life partner who always fights with you. 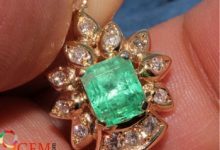 You can wear Emerald gemstone if your astrologer suggests. Mars is the fourth planet from the Sun and it is also known as Mangal in Hindi and Kuja in Sanskrit. Due to its reddish appearance, it is referred to as a red planet. All the planets are divided into 4 elements – Fire, Earth, Air Water. Mars is supposed to be a fiery planet. In Hindu Mythology, Mars rules over our courage, discipline, fixed assets like land, agriculture, business, hemoglobin in blood, bone marrow, sports and wars etc. 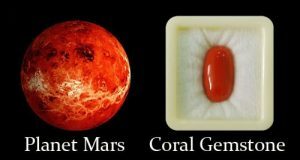 According to Hindu Astrology, Planet Mars is considered to the Red Coral Gemstone, and it is believed that wearing Moonga stone will bring physical strength, passion, enthusiasm, wisdom, intellect and mitigate health problems. Mars is beneficial for those people who born under these zodiac signs – Aries (Mesha), Taurus (Vrishabha), Cancer (Karka), Leo (Simha), Libra (Thula), Scorpio (Vrischik), Sagittarius (Dhanus) and Pisces (Meena). Planet Jupiter is associated with Luck and good fortune. It is the largest and the incandescent planet of the solar system, and it is next to the sun in size. Planet Jupiter is known as Guru in Hindi. Guru means one which is vast and great. Jupiter represents education, wisdom, wealth, happiness and knowledge. A person with a weak Jupiter suffers from Diseases of Chest, Liver & Fat related problem, depression, exhaustion, Etc. when Jupiter in conjunction with Planet Rahu, it forms a bad yoga which is known as Guru Dhandal Dosha. 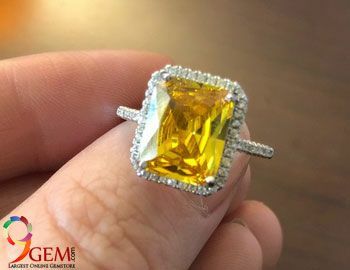 Yellow Sapphire is considered to the planet Jupiter. It is reputed that Jupiter is the father of all living things. The worship of Jupiters grants pure, aesthetic life and good health and wealth. Planet Venus is the Goddess Of Love, Marriage, Beauty and Comfort. Pleasures and luxuries in Marriage also judge from the placement of Venus in the horoscope. If Jupiter is not strongly laced in one’s horoscope, he/she will suffer hurdles in marriage life and failure in love. 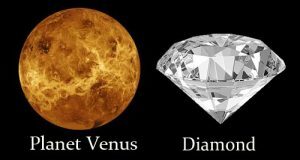 Diamond is associated with the planet Venus. Venus is also the ruler of two zodiac signs Taurus and Libra. This is exalted in Pisces and is debilitated in Virgo. 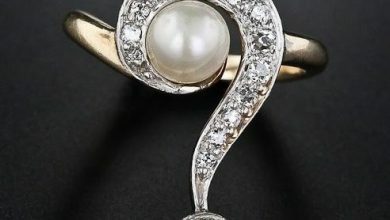 So many professions are ruled by planet Venus such as food, restaurant, hotel, poetry, film industry, beauty parlors, jewelry business, costumes, photography and other creative work. Venus rules over eyes, nose, chin, throat, kidneys, bladder, Etc. A person with a weak or negative Venus suffers from diseases due to excessive drinking, kidney related problem. Planet Saturn is the 7th planet after Jupiter in the solar system. Saturn is the second largest planet in the solar system. It is strong, slow and a cold planet. It passes through all the zodiac signs slowly than other planets. It Governs two zodiac signs Capricorn and Aquarius. 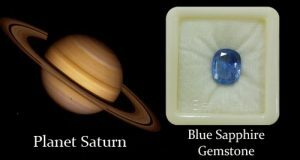 In astrology, Planet Saturn is associated with Blue Sapphire. But, if an astrologer recommended you then you can wear it. 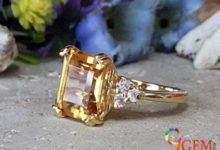 Because blue sapphire gemstone does not suit everyone, only those people can wear this to whom it suits. 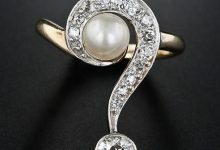 When this gem comes to suit anyone then the person will become rich. It is also believed that if Saturn is favorable or well-posited in one’s horoscope then blue sapphire is very lucky for him. 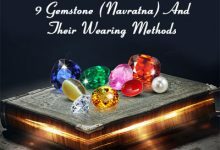 Blue Sapphire can make a person rich from poor because when it starts to suits you then Shani dev’s grace falls on man And it is said that a little grace of Shani Dev is enough for a person. It can bless you with wealth, good luck, opportunity, and promotion, Etc. within 1 day to a month of wearing it. It also gives you name & fame, Prosperity. There are so many misconceptions about the planet Saturn that this planet is unfavorable for everyone and causes delays and disputes. But it is not this way always, Planet Saturn gives positive results as well if it occupies in a favorable position in one’s Kundli. All the planets which I have discussed above, all have a physical body and shape, but Rahu does not have physical existence. Rahu is considered to be a ‘North Node’, shadow planet. Rahu also does not have any zodiac sign. Rahu is an imaginary point in the sky but has a strong influencing power. Rahu is a strong enemy of the Sun and the moon. He is considered as the dirty planet indicates laziness, filthiness, delays, and hurdles. Rahu stays 18 months in a zodiac sign. 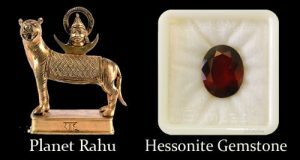 Hessonite Garnet Gemstone (Gomed) is associated with Planet Rahu. According to Hindu Mythology, Dragon’s Head represents Rahu. The adverse influence of Rahu in one’s life completely brutal, and violent. Rahu Mahadasha is very inauspicious period and results in acute negative events in life. Like RahuKetu is also does not have body shape or size it is also an imaginary point in astrology. The north node is called Rahu and the South Node is called Ketu. It is believed to represent the tail of a demon. Both Rahu and Ketu are famous for its sudden and unexpected results in one’s horoscope. Rahu and Ketu both have strong enmity with the Sun and the Moon. 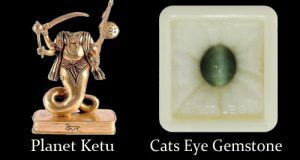 In astrology, Ketu represents Cat’s Eye Gemstone. It is believed that wearing lehsunia stone brings wealth and better luck to the wearer. Cat’s eye is very beneficial for its wearer. It protects its wearer from harmful energies and the evil eye. Ketu can be more destructive if it is inauspiciously positioned in the Kundli. The Ketu is beneficial if placed in 1st, 3rd, 6th, 11th, 12th houses from the ascendant. Ketu gives luck in multiple business, ability to make money anytime from any sources. Every single person’s planet is in different positions in the horoscope. 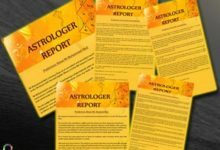 After reading this blog, consult your astrologer before applying any remedies. Feel free to contact us for any query about the natural gemstone that you are looking for astrological benefits. 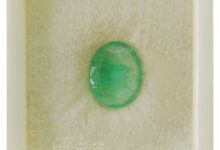 Visit the “SHOP” from the top menu for more details about the gemstones.